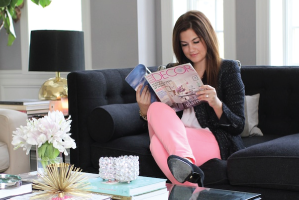 As a designer, I gravitate towards color. I love the strength and personality it brings into a room. 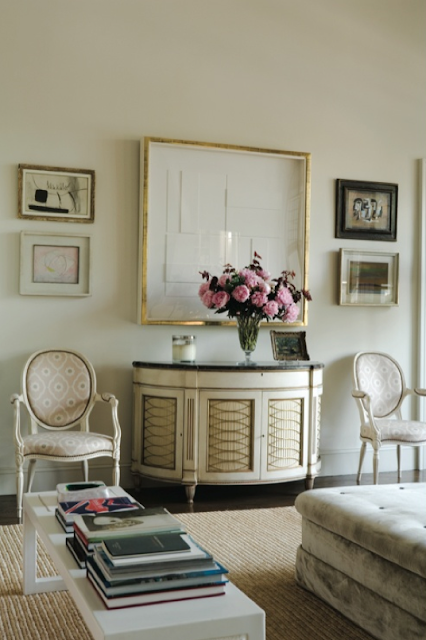 However, I have a deep appreciation for neutrals since I think that neutral rooms are the hardest to design. With color, you can lean on a bold chair or piece of art to carry a space, but with neutral, the space has to carry the space. A well designed, well executed neutral space just sings. The key to a successful neutral space is texture. 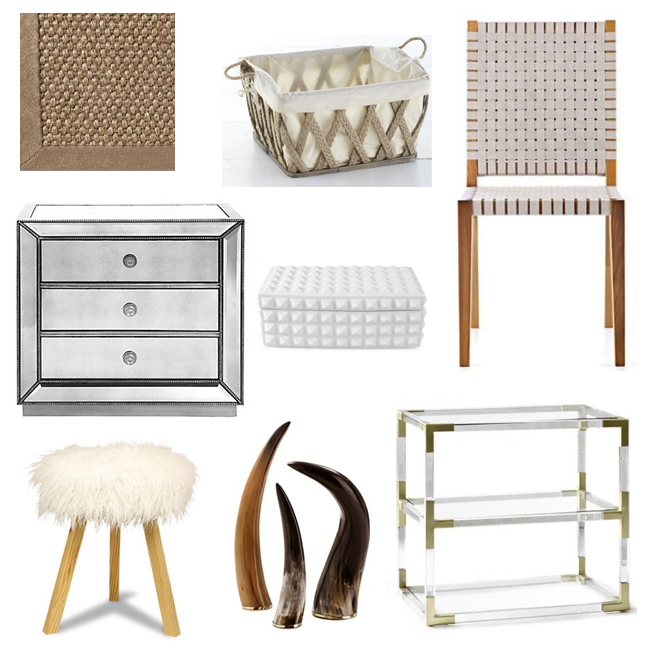 Whether its sisal, mirror, or fur you just need a ton of texture. And the best news is that you can insert texture with the help of a couple of my favorite pieces. What do you like? Color or neutrals? I am hands-down a color person, but I really appreciate a neutral space when done well – they truly are the most challenging to decorate! That bottom cabinet is amazing. i love all of these spaces. definitely a fan of neutrals. it’s so soothing. by rule i am a neutrals person but i can’t live without pops of colour! 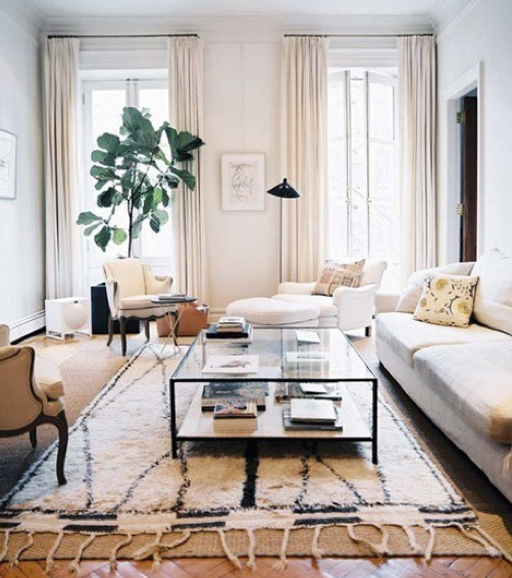 I love the idea of a neutral room, it seems so fresh and clean. But then I feel like I would get bored and want some pattern and color! 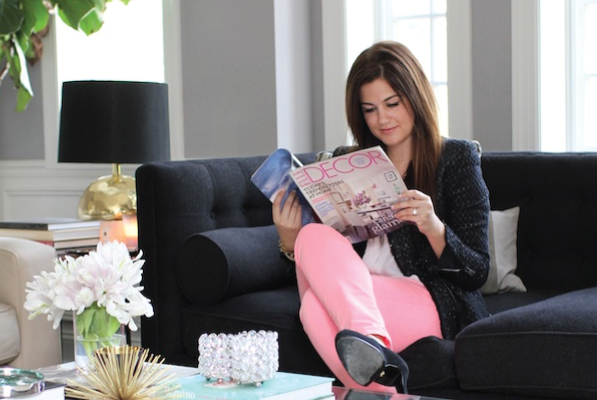 I’m kind of in between – I love neutrals with slight pops of color! I am obsessed with that last room! It’s absolutely gorgeous! I agree I gravitate toward color too! But I do love your round up. That Lucite is lovely! I used to be all about the colour but lately, I’m super drawn to textural neutrals. I must own at least one version of the JA lucite goodness.